This was a very large piece of mount board,and the largest hare I have created yet! I choose to use charcoal, for a change. I didn’t find the mount board the best base to use with charcoal. This is a very dark piece so, I decided for this reason to call it ‘Shadow in the darkness’. 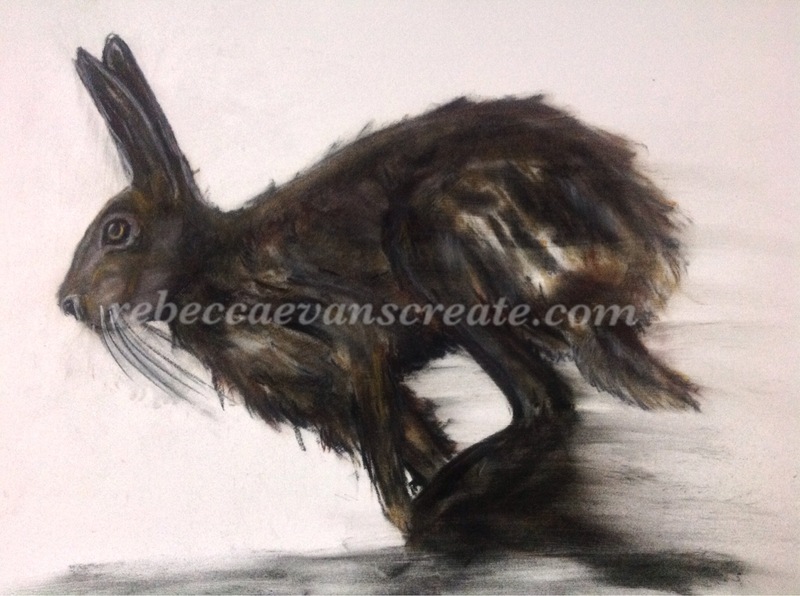 This entry was posted in art, Charcoal, Hare, picture and tagged art, Charcoal, Hare, painting, Painting, picture. Bookmark the permalink. Ahhh, thank you, I enjoyed putting the charcoal down, I would like to try again on a better base material, but a different hare pose.